Monthly fees are charged by the number of units. Barefoot Agent Reviews Recently Reviewed! Pros: Barefoot overall is working well for us. It has taken us a long time to get it set up and to learn everything we need to use it efficiently however we are happy that we purchased it and that that our direct contact there and support desk people are quick to respond, helpful and patient. We don't have any other software to compare it to so cannot help there but for us it is working well. Cons: The first thing that comes to mind is the website property listings. They have two levels to choose from and we chose the lower level (less expensive). It's limited in how the property pages are set up and searched, and we've had to unwillingly adjust. I will be honest, we wish we had our old website back, as we did not know the change was going to be a step down. Another significant downfall with the less expensive website is that our property ratings (the stars and reviews) could not be ported over - and - the functionality isn't available for us to have new ratings/reviews on the property page. That is a real dilemma for us and worth noting. We're hoping that it will be added. We are able to upgrade our website when we are ready to do it. Overall: We have our calendars and our property information all in one place which is a huge timesaver for us. We work with an outside company that handles our listings on many of the national sites and they connect to Barefoot with updates happening in real time. Barefoot offers an option to integrate with Air BnB. Hi Brenda. Thanks for your review. We have some ideas for you about your concerns with your website and we will plan to reach out to set a meeting. Thanks for being a Barefoot client. Pros: To us the customizable nature of Barefoot is critical. We deal with luxury properties, each one of which is unique - the ability to manage them as such and not be forced to make everything exactly the same for each property allows us to set ourselves apart from our competitors. Overall: We are very happy users of Barefoot. Their support responsiveness is great, they are constantly taking input from clients to mae minor and major improvements to the program, and their willingness to help adapt the software to our specific needs has been hugely helpful to our ability to grow. Thank you for your support and the continued opportunity to work with you and your exceptional team. Pros: The support is phenomenal. We can reach out to any number of people at Barefoot about any number of things and get help. The integrations with additional systems, which is always key, is wide ranging and ever increasing. Cons: There is a lot of data and options collected in Barefoot and the system is fairly complex. There is a bit of a learning curve simply because of all of the options. However, it is no more complex than any other VRM software. It's just a matter of learning where all of information is kept. Overall: We've been happy with Barefoot since our implemenation. The personal attention is what really solidifies the product. VRM system can be complicated, especially when you get into specific business rules for a given office. Without a dedicated support team to help with that implemnetation it can quickly become a nightmare. The Barefoot staff was always avaialbe to help us. Thank you for your partnership Josh. We have enjoyed getting to know your business needs. They always go the extra mile!! Great company to work with, highly recommend!! 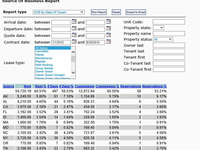 Pros: Having used the software for over 3 years now it's wonderful to have all those stats in there to look at week the week, month to month and year to year rentals. It has also streamlined all of our systems and accounting so it's very easy to pull out reports, pay the proper parties as well as keep in touch with our guests throughout the process. Cons: At this point there is nothing I don't like about the software. Most of the big Kinks have been worked out and things are running very smoothly for us. Anytime there is an issue or new update the team is always there to help and support us through the transition or to find the solution. Overall: As mentioned above it took a little bit to get everything up and running but that was a few years ago and now everything is working fine. They're always updating and adding new features, and they are always welcome to input from current users. Thanks Mary. We love working with your team! Pros: The best thing about Barefoot is that the software can be customized to suit each customer's needs. there are a number of different fields that can be created and individual reports that can be run based on these fields to gather a vast quantity of data about properties, owners and guests. Cons: It does not have the best user interface and for new users this can be a bit overwhelming. Also when doing large data updates, not all fields can be updated in batches and this is often time consuming. There are opportunities to found in occupancy, vacancy and potential revenue reporting. Overall: Overall our experience with Barefoot has been very good. There was a learning curve initially but it definitely suits many of our business needs. We appreciate the Vantage team and look forward to continuing to build on the strength of our partnership. Pros: It finds a way to make everything I want to make work somehow work! Whether adding amenities to match amenities in an online distribution channel or adding automation - it works. Perhaps the greatest part of the software is not the software at all - it is the people and the support. I have never been disappointed in the response to my need for help. Cons: It is difficult to call this a con, but because the software is so versatile it can be a challenge to navigate. But again, the support. Overall: These people know their software and they know the industry. I honestly don't know how they do it sometimes. We have experienced huge changes in the last 3 years in our model and Barefoot has been right there with us. Thank you so much for your continued partnership. We love the innovation that you continue to bring to the software. Pros: The customer support is, without exception, the best I have experienced with ANY product, not just software support! I can generally submit a question, via email, before going home at the end of the day and I will have a solution in my inbox the next morning. I researched several Vacation Rental software companies prior to making the decision to saddle up to Barefoot Technologies. The driving reasons that I chose Barefoot: I could genuinely sense their interest in seeing our startup company grow (as a salesman myself, I am fairly trained at observing the intent of other salesmen); I could also easily see how the software could be customized to our unique market situation and Offlake Rentals' individualized approach to our market. I am sure there are significant capabilities of Barefoot software that we have simply not yet taken the time to implement, but look forward to doing so to increase Offlake Rentals' income streams! Cons: There is not an "operational manual"; however I am learing that, due to the customization of the Barefoot software, each company really needs to create their own operation manual for using Barefoot. Overall: As the manager of a startup Property Management Company, I do significant research and analytics. I knew when doing my research for a management software to go with that it would most likely be my "partner" for the life of our business, due to the complexity in switching property management software. 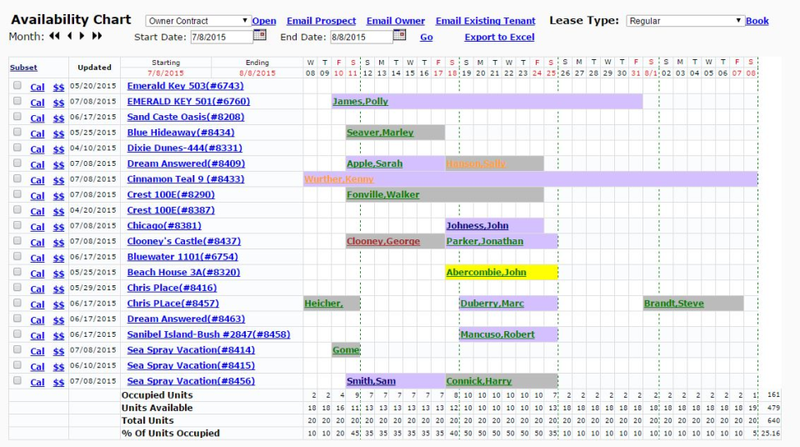 I can say with absolute confidence that Offlake Rentals made the correct choice in software and I cannot give a reason that anyone in need of property management software would not want to include Barefoot Technologies in their consideration! This comes from the "bill payer" of our small company. We appreciate your ongoing partnership! Very satisfied/helped increase efficiency and income. 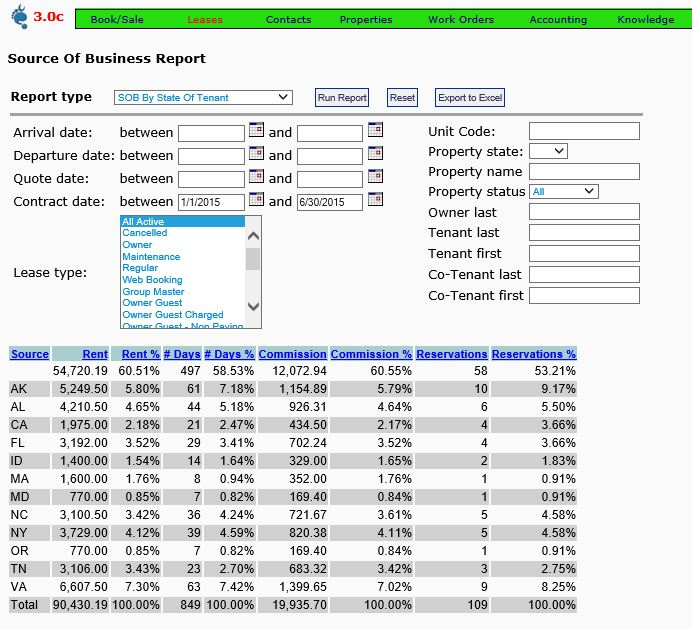 Pros: Barefoot Agent provides great reporting and the ability to track data. The checks and balances to ensure disbursement of all funds very accurately. The daily and monthly reporting is great. Cons: The training/introduction was not satisfactory. When switching from one software to another we felt that we were not offered sufficient support in order to make this transition smooth. As a result we struggled for the first 6 months. Overall: The software overall has helped improve our operations tremendously. 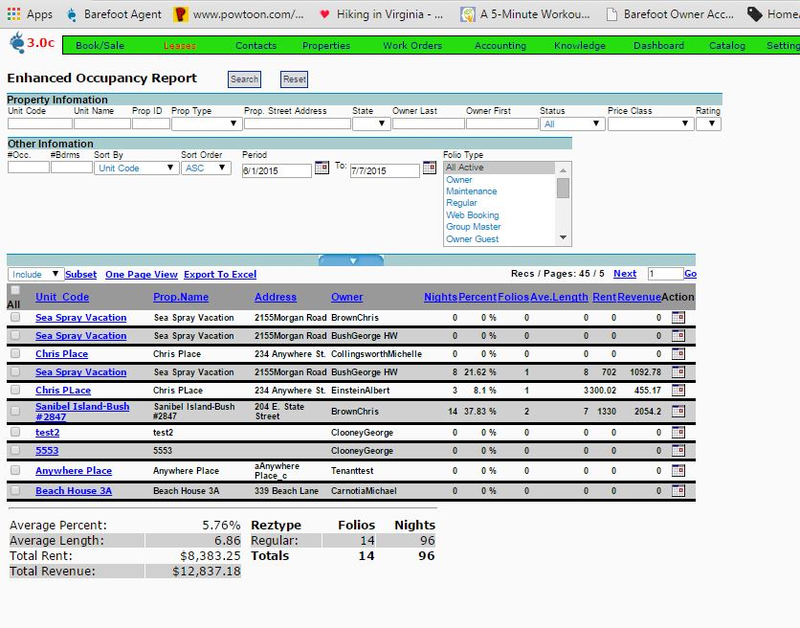 On each level from reservations to housekeeping to work orders and accounting, our operation is much more efficient run thanks to the Barefoot Agent software. The current support staff is very good and very responsive. Thanks for your partnership Billy! Pros: That we can adjust it to fit our business needs. I also, like I know most of the people working there. Cons: Due Dates and mismatched payments do not make sense to me. We are always told the due dates are off which puts reports off.... What are we doing to cause this just tell us and we will stop. I also think some of the accounting is confusing, have to switch numbers to make your 1099 match your year end statement is a lot of work that I would think could be programmed into the software to have those 2 reports match. Overall: I like how quick the response is most of the time, but sometimes I would like to talk to someone in person and I feel like that is impossible. I always have to wait for a call back. Pros: The functionality that is has is good IF you are starting from scratch and can tailor your business practices to the way Barefoot does things. The functionality is not as innovative or user friendly for a client switching from a legacy software to this one. Cons: The housekeeping module is very inferior compared to competitors. Overall: Barefoot software markets a lot of functionality but their system is full of bugs and their support team cannot keep up with it. Customer support sometimes does not respond to emails for days and it is very difficult to talk to the right person who has the expertise in the specific area of need. We have been live on Barefoot since 1/1/16 and have been unable to use many of the marketed features because those systems had bugs or did not function as sold to us. Recommendations to other buyers: There is not a lot of structure to how they train and onboard a new client. To go through the process to switch to Barefoot Software you have to be your own advocate and drive the process because they do not have an account rep or any one person in Barefoot looking out for your success. Thank you for your comments. They have been shared with the team and will help us continue to improve our processes. 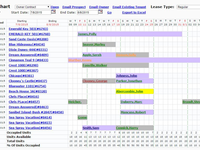 It is true that Barefoot has a very broad technology toolbox. We try to address this both through our Business Rules document and individualized training sessions. That being said, for our more complex clients who are switching from legacy systems we do see that it may take 6 to 12 months to really get your solution working the way you need, just because it takes time to be in a system to understand what to tailor and configure. Regarding the housekeeping functionality, we continue to develop our product and we do this by relying on customer feedback and need. So we will look forward to your input moving forward to help make this aspect of our solution a better support to you. We are grateful for you as a customer and look forward to continuing our dialog. Pros: Barefoot is extremely easy to use. This system has so many functions and automated capabilities that you can operate with a smaller staff and focus more on driving revenue. No matter how large your company is this system can handle it. Cons: The reporting is good, but if you have multiple unit types it can be an issue. That being said support will help you! Overall: Our experience with Barefoot was and continues to be great! Let me be clear that the Barefoot Team dedicated itself to getting us set up. We had 55 yes 55 days to transition from one system to Barefoot. The entire team at Barefoot is great and their ability to customize the software to meet your needs is just icing on the cake. Thank you for the opportunity to partner with you. As you mention, this is just the beginning of our great relationship. Pros: Customer service is amazing, always available even in our remote time zone. Cons: There can be a few limitations but that can be expected in something that is trying to fit for everyone's different systems. Overall: The team has help us in many ways to think about other ways to do processes so the end results can be accomplished. Thanks Billy. We have loved being partners with you for fifteen years! Pros: The ease of use is great but the software is not keeping up with technology. The people you work with at Barefoot are great but no changes seem to happen. Cons: The accounting and work order systems have issues. Overall: We would like to solve our balancing issues but it has been 4 years and thus has not happened yet. 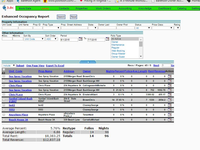 Pros: Reports, Accounting, Work Orders and Reservations functions. All are easy to learn and offer more features than we were used to having with our old software. Cons: The Letters program is clunky and documents are frustrating to edit. Overall: Our experience has been wonderful. Barefoot has a stellar team of professionals who are smart and patient and we appreciate their positive attitudes when it comes to teaching, troubleshooting and comparing what we are used to with an old PMS and how to transfer our expectations to their PMS. Can't say enough positive things about the Training, too - from the trainers, themselves, to the content of the training, the number of training sessions, and the resources provided to review training sessions and move forward with new topics. It is all first class and we are so happy that we chose Barefoot! We have so enjoyed getting to work with you and your team. We look forward to continuing our deep partnership. We are constantly evaluating options for our letter editor and we are always here to help to get those tricky layouts just the way you need them. Pros: Love the easy booking and organization options for reports. Cons: Occasionally run into a bug, but the customer support is ON IT! Overall: Overall, love Barefoot software and would recommend. Thank you for the kind words Brooke! We look forward to continuing to support you and Eden Condominiums. Pros: I like the ease of use for front desk agents. Cons: The management controls and switches are difficult. This software has so many options and I wish I knew what it could do. When you ask if it would do something different the answer is yes, go here, here and here and there you go. Would be nice to know what you can do like options list would be great. Overall: I do like the software and I have recommended it to several companies. Hi April. Thanks for the review. I am glad that the front desk agents find this easy to use. Switches are something we are happy to help you with. Keep reaching out to support when you have questions or ideas. Pros: I like the customer service and online support. Cons: I do not like how rates/dates have to be entered on the price table. Lauren-- thanks for your review. We will reach out to you to get you some additional training so that those rates and dates won't be so tough for you. Comments: We enjoy learning the software and I think once you understand, it is very easy. It is harder for the older people in our company to learn the software. Some items; such as items that we want to print like calendars, are not adaptable which can make personalization of certain things difficult. We agree that moving from a legacy, PC based system like Property Plus to any browser based system will be a challenge. Our hope is that once everyone has gone through our extensive one on one training, each user's comfort level will improve. Also, the ability to print in a browser based system is dependent on a number of variables, including the browser that you are using and the printer-- not just the "report" or the calendar or letter that you are trying to print. We understand this frustration and provide support to all customers who need additional assistance. We are also currently evaluating even more sophisticated technology for editing and printing letters from any browser. We will keep you posted. Thanks again Sarah! We so very much value you and the rest of the Pawley's Island team for being a Barefoot customer. Pros: The software is user friendly and I am spending less time training and re-training. Internet based software is faster than using our old Central Server that was always crashing. Online bookings are easier. Our owners love the interactive features of the Ownernet. Overall: Since we have transferred over to Barefoot Technologies, we have experienced a vast improvement in efficiency. All of our Sales Reps were trained onsite by expert Barefoot Staff explaining every aspect of the program in a way that was simplistic and user-friendly. It s as if the Software was built just for us! We used to use RDP and it was so time-consuming and constantly crashing, not to mention that their tech support department would leave us offline sometimes for the entire weekend! We have been extremely satisfied with Barefoot Support. They diligently and promptly reply to our needs and solve our minor issues in a timely fashion. I wish we would have bought this software years ago. Comments: When we approached Barefoot about their capabilities, we made some pretty hard demands about what we expected from Barefoot and their software. As of now, we have been live using Barefoot for over 6 months. There have been some hurdles for both of us to overcome and some customization had to be done to the Barefoot software to get us where we needed to be. But my experience so far has shown me that if we are willing to work for it Barefoot is willing to help you obtain our goals. It still amazes me how customizable Barefoot truly is. Over all we are in a whole lot better situation now than what we were in last year at this time. I highly recommend Barefoot to any vacation rentals company looking for a good business partner. Thank you for the review. We appreciate the partnership. Comments: We chose Barefoot because of the options we were considering they were the most customizable option in the bunch...the one that was not a menu of services and add-ons but a tool we could design to fit our needs. Two years later we know we made a great decision. No system is perfect, but Barefoot is more than just a system - the team of support invests in teaching the users not just how to use the system but how it works and how it is built, so we can then manipulate it to work how we want without requesting customizations, hours, and extra costs to make something what we need it to be. Barefoot is now our most valuable team member. Thanks Alex! We really appreciate our clients that continue to want to learn how to leverage our system. Thanks for being a Barefoot customer! Barefoot software is pretty amazing it is very dynamic yet easy for the field to use. Comments: We have really tested the limits of functionality with Barefoot and they have answered all of our requirements with patience and professionalism. We are a large organization with many special requirements and Barefoot has done a great job working with our team to address our specific needs. Their team is easy to work with and takes the time to understand our needs. Thanks Tracey. It has been a pleasure working with you and your team! Comments: We've experienced some glitches recently, but appreciate all the efforts made by the BF team to get us back up and running. Would like to see more free webinar training options. Thanks Rachael. Great Feedback about the webinar options. We are looking at both webinar trainings on specific topics and video trainings that can be reviewed through the knowledge base. We are adding those on a regular basis already. We have used Barefoot for about 7 years now and have always had good service. Comments: We have always had good service from the Barefoot Staff and the reservations system works well for us. Integration with other services is also helpful such as the credit card systems, HomeAway, etc. Thanks Kelby. We look forward to continuing to serve you ! We love the versatility, flexibility and customization functions of the software. Comments: It conforms perfectly to our business model rather than forcing us to conform our business model to a predetermined square peg in a round hole software. Comments: I think that the software does a good job of keeping track of running the resort, but I think it is lacking on the accounting side. Thanks for your review. Yes, your accounting has been more complicated than most and we really appreciate you sticking with it and letting our support staff continue to provide guidance. We aim to provide great customer support to keep our clients happy. Thanks for being a Barefoot customer!